how's mobile browsing w/ this phone? Is it possible to install java apps and games to microSD card by transfering them from PC via USB cable? I am not interested in OTA (over-the-air) installation. Please, i need an answer. Ashim, 25 Aug 2010Hey got dis one on 21 Aug 2010. Features : Nice build quality Responsive touchscreen Nice ... morebattery is so so so??? Hey guys I got this phone for my b'day on 23rd. I really like it. Its my 1st phone so i'm really happy. I'm really satisfied with it. Great sound. Hey got dis one on 21 Aug 2010. Does it contains mobile trackker? can you use applications such as facebook,skype with this cellphone?? Hi, anybody installed fring application in this phone? [deleted post]Among USD 100 (Rp 900.000 in indonesia now). - have 1000 mah battery. - have smaller screen At same resolusion of screen (240x320pixel). This is make the picture on screen much soft and clear in our eyes. - samsung champ is cheaper in price. 1. 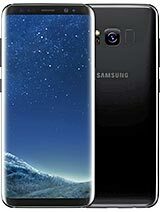 Can v download themes from sites other then samsung site? 2. Can v record the cal?